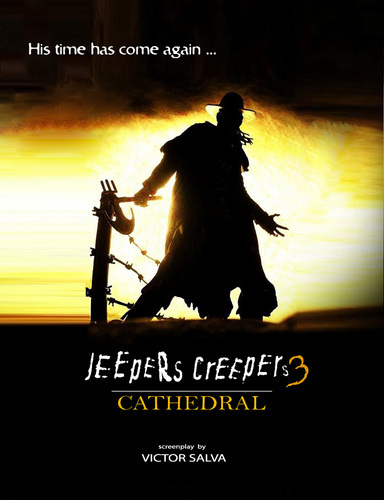 Jeepers Creepers 3. . HD Wallpaper and background images in the Horror Movies club tagged: jeepers creepers 3 cathedral sequels upcoming horror movies promos. This Horror Movies photo contains sunset, sunrise, anime, comic book, manga, and cartoon. There might also be sign, poster, text, chalkboard, and rifleman.